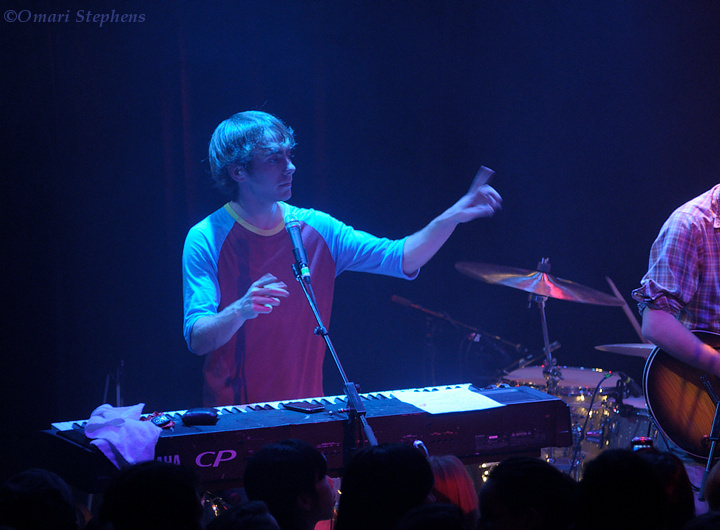 This past Saturday brought the return of Dizzy Balloon's Thanksgiving Extravaganza to The Rickshaw Stop. It wasn't nearly as outlandish as last year, but it was still a great time. One aspect of the concert that stood out for me was the spontaneous crowd interaction. Last year, what with the (amazing) sing-along and other antics, it was pretty obvious that the crowd was having a good time. On Saturday, the interactions were generally more subtle but were definitely still there. It was clear that the folks in the audience enjoyed themselves. 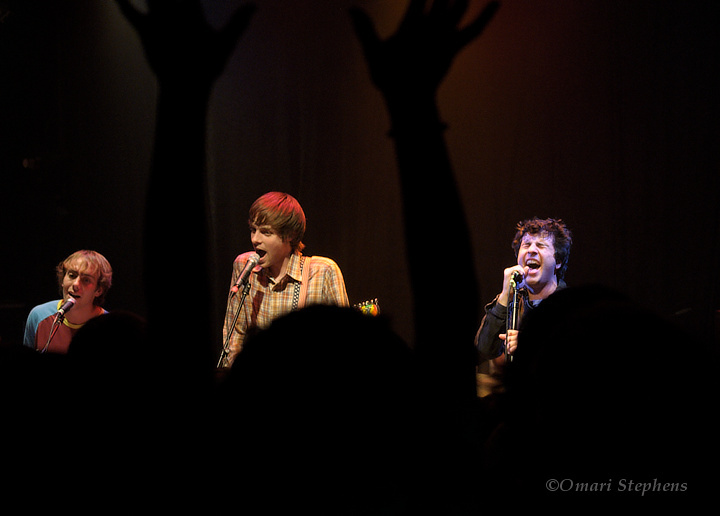 A concert-goer puts her hands in the air as (right to left) lead singer Petros A. P., lead guitarist Jonny Flannes, and keyboardist Joey Orton sing. Dizzy Balloon played an acoustic version of their song "I'm Just Me" for their first encore. 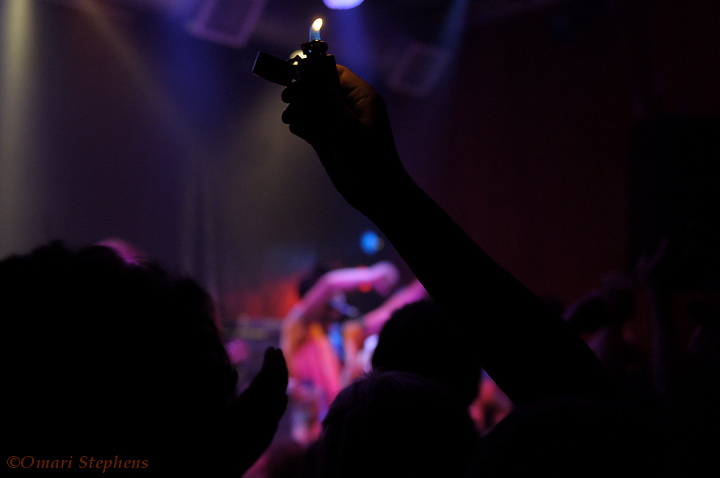 Here, a crowd-member waves his lighter as lead singer Petros A. P. gets the crowd to wave their hands. 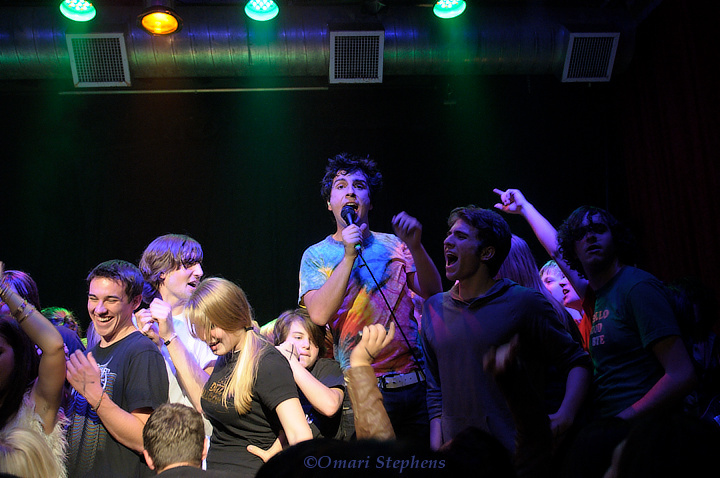 For their second encore, the group played a cover of The Jackson 5's "I Want You Back," during which Petros A. P. invited audience members onstage en masse. 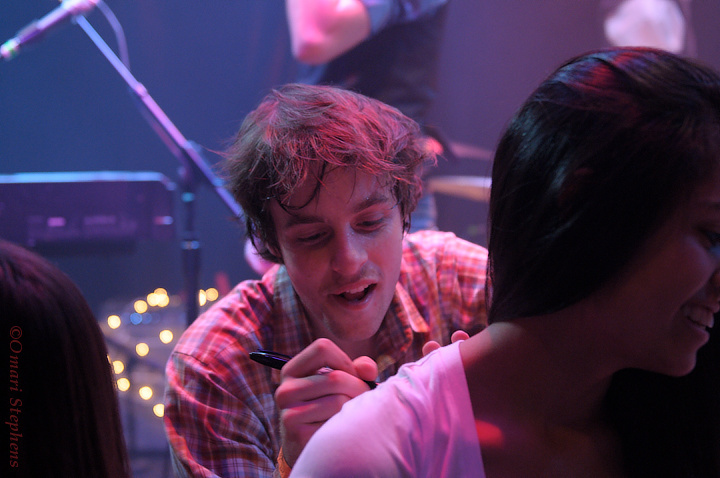 Guitarist Jonny Flannes autographs a fan's t-shirt after the concert. Thanks for looking. You can find more photos in this gallery.